I don’t know about you but I love bacon. There, I said it. Bacon should be on every menu and an option on every menu item….even dessert. Why am I talking about Bacon? I’m not…well I guess I sort of am…but I’m really talking about restaurant menus. You know, those big bulky plastic covered books that you get and look for something you want to eat. Yeah , I know $40 for snow crab legs is crazy. Sorry, let’s get back on topic. MenuPad for iPad is trying to do away with those pesky paper and plastic menus with a sleek iPad app which turns an iPad into an interactive experience for your customer. MenuPad for iPad requires an account at MenuPad.com if you want to add your own menu items and customize the theme. Which, unless you just happen to sell only what the demo menu has, is a necessity. With MenuPad you create your categories, menu items, illustrations, ingredients, and other information from your MenuPad account and it is pushed out to all of your iPads running MenuPad. You can even make suggestions based on food selected by the customer such as a specific wine depending on the type of food ordered. 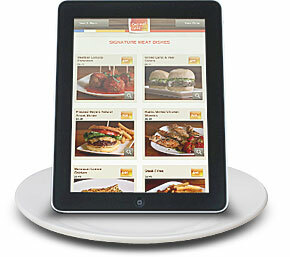 Once the customer has selected their food they can send the order right from the iPad. There are several integration options with MenuPad: orders can be sent to the MenuPad website, select POS systems, or a receipt printer. The obvious benefit here is that servers can now handle more tables more efficiently and this reduces your overhead. 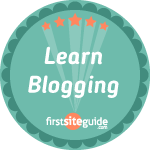 An added benefit is the reduction of ordering errors. Servers are human and sometimes make mistakes when taking an order. MenuPad takes that human error out of the equation. And while you customers are waiting for their food they can use the iPad to access the internet (perhaps to give you a glowing review on Yelp) and access other entertainment options. MenuPad’s drag-and-drop functionality allows you to quickly set up your new menu, adding images, creating menu categories and providing descriptions. Update menu information quickly and easily with MenuPad, setting effective dates to automatically display future specials or other time-sensitive data. MenuPad features charging stations that enable rapid recharging and safe tablet storage. MenuPad eliminates the need for servers to present menus, describe items, take orders and deliver checks, allowing fewer servers to cover more tables. Guests receive an innovative hospitality tool that they control, which improves satisfaction. MenuPad reduces labor costs and losses due to order errors and increases sales by empowering customers to place their own orders. The fun, engaging MenuPad interactive experience delivers a positive customer impression. Allows you to make changes at your convenience, including instant item or price updates and scheduled daily, weekly or monthly menu changes. Customize MenuPad with your restaurant’s unique logo and brand the MenuPad layout to maintain a consistent look and feel. MenuPad allows you to set up easy-to-edit, eye-catching visual elements like food and restaurant photos as well as descriptions. Increase revenue by providing customers with appealing food images and descriptions as well as optional food and beverage pairings. 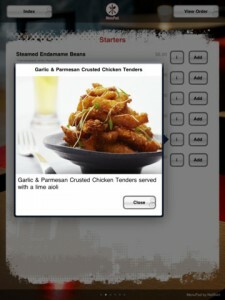 MenuPad enables you to customize revenue-generating descriptions and pairings by restaurant site. By providing limitless entertainment options for customers, MenuPad enhances the dining experience and sets your operation apart in a competitive market. I personally see great potential in MenuPad and other apps like it. Allowing servers to handle more tables more efficiently will increase your profit and reduce your overhead. The initial investment of iPads and the MenuPad system will quickly pay for itself. One caveat here is to ensure the iPad is in a protective case. We all know that humans (especially children) can break electronics quickly and if you have to replace a couple of iPads every month or so then the cost benefit is negated. So invest in an Otterbox or similar type case.